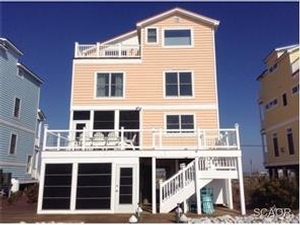 This 4BR, 3.5BA Bayfront home is ready for your enjoyment. Just bring your clothes, relax and enjoy. Features include an elevator, open concept living with room for all your family and friends, kitchen with granite and breakfast bar, gleaming hardwood floors and much more. Dock your boat at the back door, fish, crab and play on the bay. It's all yours here.